It’s harder to sell a home lately because competition is tough. 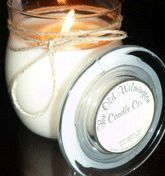 Real estate agent Stephen Cooley decided to create a candle scent with Old Wilmington Candle Company to rid homes of unpleasant odors. This special Scent That Sells candle is a “woody, earthy mix of vanilla and sandalwood, warmed with musk and a touch of patchouli”. It sounds lovely and would probably appeal to men and women. Then again, so would baked cookies. Anyway, it’s a little easier to sell a house if it doesn’t smell like fish, smoke or dogs. “woody, earthy mix of vanilla and sandalwood, warmed with musk and a touch of patchouli”. I think i will like this smell.